She just made an Ex.tra !$700!!! You Want to Know Her Secret? One of my students in Second Income just got her ex.tra ear.nings. And only 40 people commented on that post. These 40 people wanted to know how to start ear.ning through Affi.liate Mar.keting (AM). Are you curious how to make ex.tra income sa internet? Ok. For those who are reading this, I’ll tell you one secret how to be successful in AM. In Affi.liate Mar.keting, you need to be able to create a blogpost that gets a sale, a blogpost that generates income for you while you’re asleep. The big problem is, most people don’t know how to make a blogpost, neither do they know how to make a blogpost that sells, neither do they know how to make a blogpost that sells when they’re asleep. This is the secret for a lot of affilia.te marke.ters, to create a blogpost that sells while they’re sleeping. Next month, in the Second Income Webinar on November 26, Saturday, I’m gonna teach you how to make at least 2 blogposts from scratch that are selling while you’re sleeping EVEN if you’re not a writer, even if you’re so afraid of writing , even if your grammar is really bad. The reason that it works is because of this universal concept of copying what successful people do. So in that webinar, you’ll find out how do successful people do their blogposts and you’ll be able to dissect how they made their blogposts POPULAR not just how to make the blogpost. And I’m going to show you exactly HOW they did it. So it’s gonna be very exciting and I know a lot of people would like to benefit from it. The reason why I’m not giving it away for fr.ee? I’m not putting it in a webinar that’s fre.e on Mondays because the only people who will benefit from this webinar are those serious in ea.rning inc.ome using AM. Meaning you will be selling products you don’t own, selling products you don’t create. And if you’re serious about doing that, then you can benefit from this webinar. So I’m gonna give this webinar a special price. You don’t have to register and become a Second Income member just to get access to this webinar (LIVE and recording). 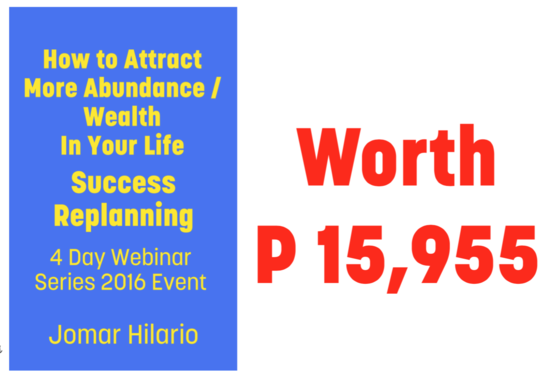 You only need to pay around P 3k each just to get access to that webinar. That’s all you need to pay and you will be able to create that blogpost that will serve you for many many months to come as a source of passive income. That’s only P 3k, please do sign up on or before the day of the webinar so you can join us live. After that, the price will be higher and it’s not live, it’s just a recording. Ok? Thank you very much. Do make sure you add blogging, success blogging, and how to make a blogpost popular in your resume. Join us in that webinar. Are you beating yourself up for letting the year 2016 pass without achieving any of the plans on your list? Do you want a shortcut to achieve your goals faster and more effective this coming year? Are you willing to learn how to speed up your pace of goal accomplishment to such a degree everybody will think you’re a superhuman? Join the Success Replanning Webinar Series. BPI Savings Account/ 3216-3898-62 / Jose Mario R Hilario. IMPORTANT: Fill up the details here: http://bit.ly/paymentdetails. First 10 to who gets ticket gets a gift worth P4995. P.S. Learn success blogging. Join the Second Income November webinar. Stay tuned for updates. Can You Be Like Her? The year is ending – Christmas is approaching – and there’s still time to change your life. Let this story about an ordinary girl captivate your imagination. 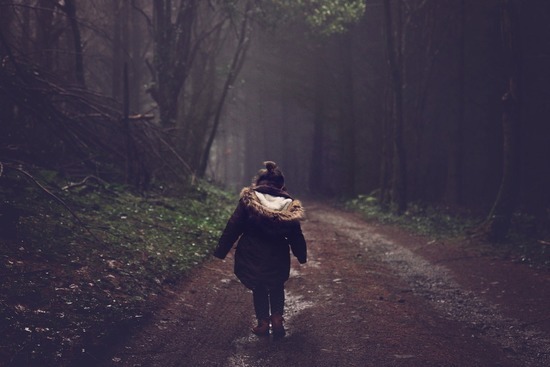 Once there was a girl who grew up walking. She wasn’t good at reading or writing. And knew only the words her parents taught her. But she knew how to walk very well. Come ride with us, they would say. I’ll walk. Was her reply. One day she grew restless and decided. Up down valleys and hills and plains. When she finished, nobody noticed. “This town’s too small.”, She said. What if I walk to the next city and walk around there? Her old town was just about to disappear from the horizon when she looked back. “Wait! How can I get back home? She looked around and saw many pieces of wood. She picked the large, long pieces of wood – at least three feet long and put one on her path. Every few steps, she would lay down one piece of wood. If she ran out, she would find more and go back to her wood lined path. But now she knows she can find her way back. This went on until she reached the city. And she started doing the same thing around the city. 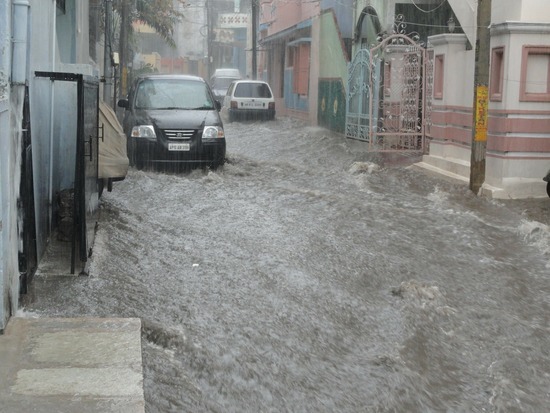 This was a long time ago, so the city was still full of trees. She never ran out of wood to put on her path. This time, people did notice the line of wood on the ground. Some started following it to see where it would end. A few days later, the girl looked back at her trail of wood. She was shocked to find – people were following her! And on and on – the reasons went. 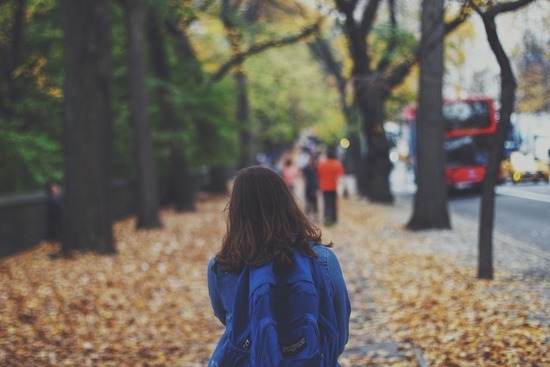 Soon, the girl was satisfied with her trek through this city and decided to go back home. 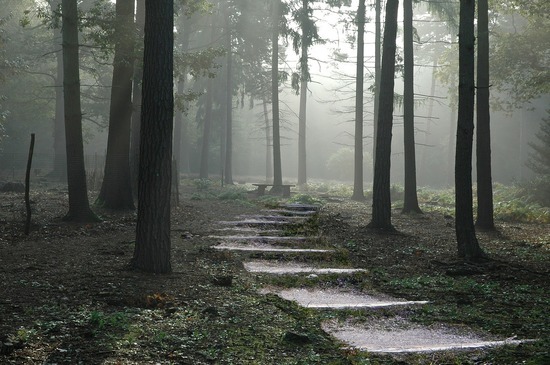 So she followed her own path of wood – back. But it was easier now. Because alongside the path of wood – are people who would offer her food and drink. She would only smile and accept their gifts as she was good at walking – and that was it. Upon arriving in her hometown – she found a big group of people has followed her home. She turned around and looked at them. 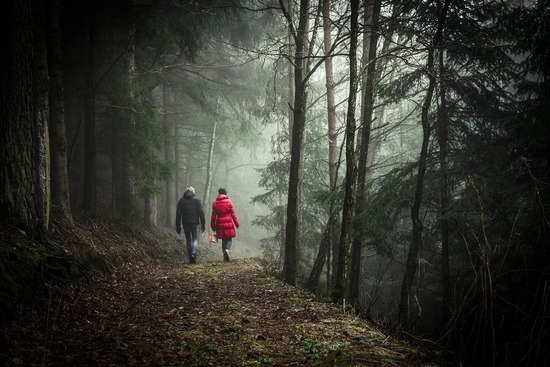 The girl looked at them, took a piece of wood – turned around – and started walking behind her house. She started laying down the wood pieces again. This time towards another city. And the people started following again. Not the end, but to another beginning. JOMAR, WHAT DOES YOUR STORY MEAN? You can skip this part if you want to think more about it. But if you’re off to do something quick and have no time to do any thinking – then read on. The girl represents a person who doesn’t have a lot of talents. She knows only the basic things. But does one thing – as simple as laying a piece of wood in front of each other – and walking to the next town -and keeps doing it. So she can walk and she has persistence. They offer many reasons -doesn’t matter what they say. The only important thing is, they follow her. Jomar, doesn’t she look and feel “insane” to you? Like the dirty street beggars in the Philippines that nobody follows? In the story, the girl didn’t beg. 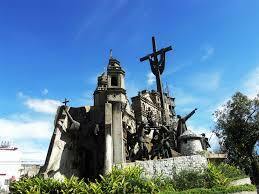 And this wasn’t set in the Philippines of cars and buses, this was a time that walking and horses were the norms. The people didn’t notice all these things. They did notice the pieces of wood kilometers long — they had to know where it came from. People are curious – and if you still didn’t get it – people WANT to have a reason to follow ANYBODY. People want to be inspired. People want to be wowed. People want to find people to follow. That’s why you click on Like in FB and follow people in Twitter, Instagram and subscribe to great Youtube channels. You realize – you WERE following them – weren’t you? 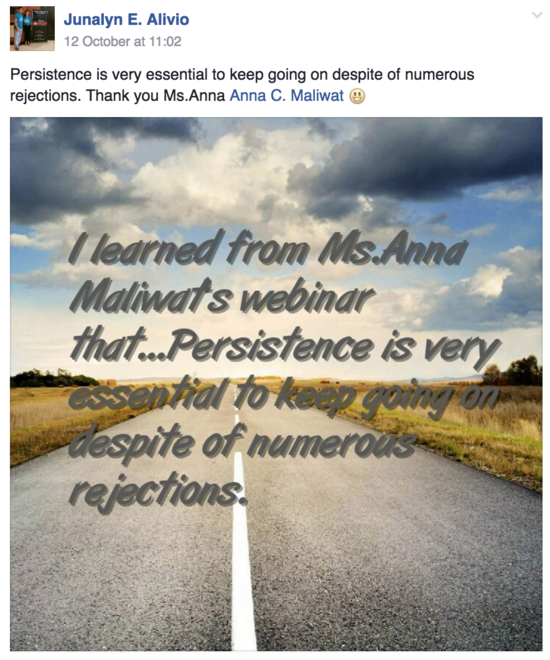 What the girl had was persistence. She started something and didn’t stop until it was finished. Most people start and that’s it. This season take a short retreat – yes – now – in the midst of early shopping, start filling up a notebook of why you should be doing what you SAID you should be doing but isn’t doing. Start writing down your plans. 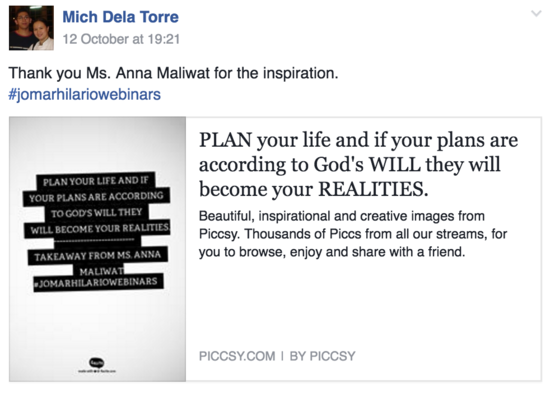 Take the example of Anna Maliwat, our guest last Monday, how she wrote down her plans and achieved the results she wanted. 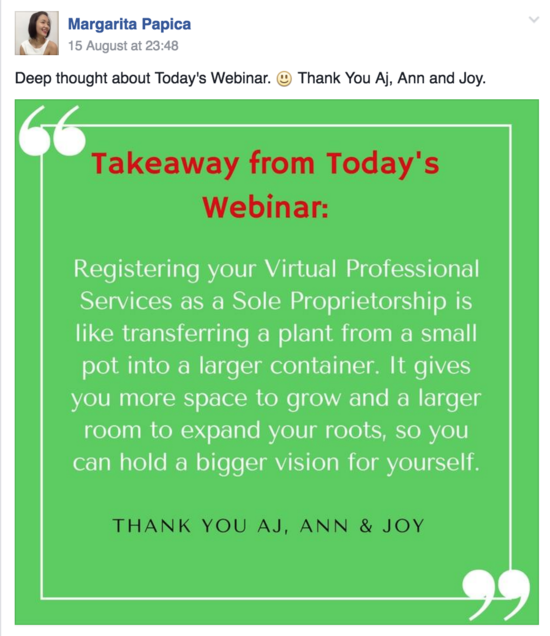 You can watch the replay here https://virtualcareersbook.com/seminar/. Start writing down why you should continue that blog or book or write-up or project. Just start answering why on paper -and soon enough you’ll get what she has. FOLLOW SOMEONE WHO’S DONE IT BEFORE. You know someone who’s done it before? Keep asking until you get answers. And do something with the answers. Start walking and never stop. Soon you’ll have followers following you offering to support you. When you are listening from a webinar or a seminar or reading an inspiring article, you take down notes of what you’ve learned or realized. You put your learnings and realizations in a form of a blogpost, a poster or a long essay and give credit to whoever inspired you. Can you do it for the next 5 to 10 years? Like the girl who did the walking persistently? Can you do it until you have your own followers/audiences too? Those who attended last Monday’s webinar found out one of the qualifications to e.arn mill.ions onl.ine. 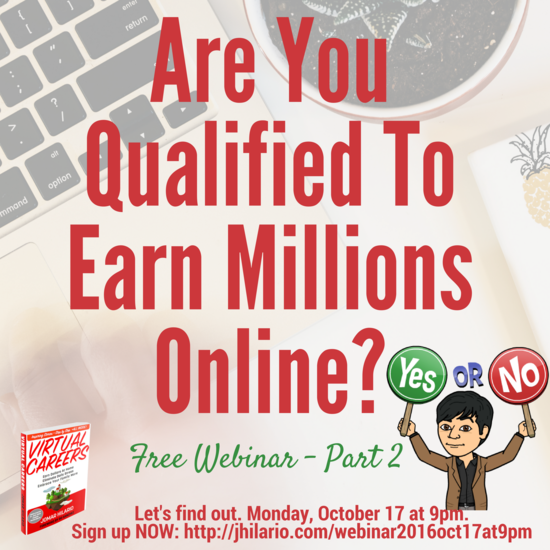 Are you qualified to e.arn millions on.line too? ARE YOU FOLLOWING SOMEONE WHO’S DONE IT BEFORE? Following and watching are two different things. Or are you “The Girl Who Walked and Never Stopped.”? It’s your choice, the year isn’t over and you can still start something that you’ll never stop doing. You’ll learn the other qualifications to start ear.ning millions on.line. Yes. It’s the PART 2 of the webinar last week. DO YOU HAVE WHAT IT TAKES TO EA.RN MILLIONS ONLI.NE?? Can you create a C___N? People also need to be C___R. Not just that, but SUPER C___R. You need to have D ____N. Ano ba talaga ang mga yan Jomar? Let’s find out, on Monday. You non-techie or you just want to be better? On being a non-techie: The biggest excuse of all for being a non-techie is not an excuse. Are there people who started from nothing? No knowledge. But they succeeded anyway? When a 12-year old didn’t know how to preach, did he preach anyway? Yeah, let’s talk about that. It’s super valid to say you’re a non-techie for 2 months maybe. But if it’s been 12 years since the Facebook explosion and you still don’t know how to tag people..maybe you’re just not interested to know. But now when did you realize that you are non-techie? And what did you do to make that untrue? 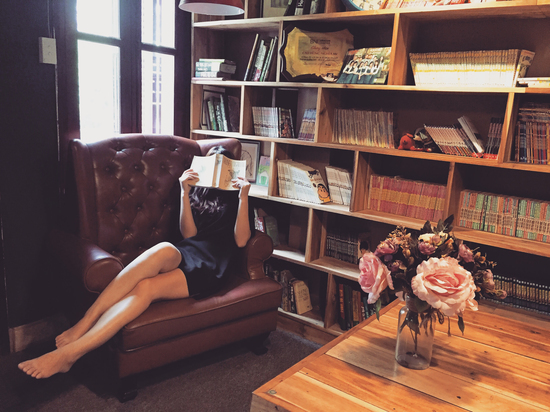 Tip: go to a bookstore where they allow reading. Read all the how to techie books first paragraphs and first chapters. If you like a book, understand it, buy it. Use all spare time reading the book. You use a windows computer? When did you read the manual? Go use my bookstore tip and get a windows book. Use your spare time watching the free webinars from the past. They’re free and you’ll learn a lot. You’ll meet some of my students who are non-techie too. Want to learn how to evaluate computers that even a non-techie can understand? Ha? Do you have to do that? That sounds like a lot of work, Jomar. Reading a book is ‘work’? Buy an audiobook if you prefer that –sa audible.com/twit2. In that site you need to use a credit card but first two books are free. Everything in this email is intended to make you as good as me – when it comes to using the computer. You want to be like that? Get the respect and admiration of people you love that you’re good with computers – then do as I say. The technique I mentioned above is capable of making your dreams come true, faster. When you’re learning how a computer works – you’re preparing for your opportunity. Dream mo ba na makauwi na sa Pinas at alagaan ang iyong nanay like Yit? Yit Ramos is an OFW from Malaysia. She was our guest last Monday. Watch her inspiring story and learn how you evaluate computers too. Dream mo ba ang more time with your family? Nasa Pinas ka lang pero parang ang layo mo kasi wala ka ng time dahil laging overtime. 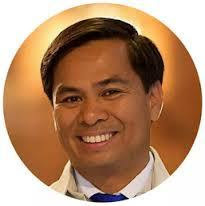 Dream mo din ang kumita ng malaki nang hindi ka pagod at stressed? Prepare for your opportunity na maabot ang dreams mo. Prepare using a proven formula that we teach in Virtual Career. Prepare with a guidance and mentoring. If you want to start the journey to your ultimate dream, learn how to start your virtual career now. Hurry! Save your seat and get these. Prices will go up after Sep 20. P.S. Now let me ask you again, are you a non-techie or you want to be better? They adapt easily to changes and oftentimes enjoy it. They’re resilient and this makes them more creative. They’re courageous and would venture off out of curiosity and you know what? I realized, we can learn a lot of things from them too, that can help us achieve our goals. Wanna know what these are? They are great at observing and listening.Show a toddler a video of a dance routine regularly and be surprised to see that in a few days, they can move and groove to its tune flawlessly. When my kids were smaller, they loved watching this specific episode of this Aussie kids show, Hi-5. Everyday after breakfast, they’ll ask me to play it for them. They’ll dance and sing and laugh their hearts out. shouting and giggling and spinning. In one episode, Lauren, one of the Hi-5 members, is holding a bunch of balloons. My kids would sing that monologue perfectly — with Aussie accent! I would ask them to sing it over and over again just because I find it cute and funny to hear them sing with an Aussie accent. This is also why us parents, aunts & uncles need to be very careful with our words especially with kids around us. Believe me, they’re very, verrryyyy good in imitating you! This, I know you’ll 100% agree with me: They love asking questions. They ask questions ranging from simple to the most complex ones we sometimes find ourselves without an answer to it. WHY AM I SAYING THIS TO YOU? You’re here, reading this email, because you want to LEARN how to begin a virtual career. More than that, you’re probably an OFW for years now and you want to go home to your family soon. You’re here because you want to learn how you can go home soon and still be able to provide for your family. You’re an employee who’s happy with what you do, however, you aren’t well compensated. You’re overworked and not get paid the amount you deserve for all your hard work. You’re here because you have finally realized that others can appreciate your hard work AND also be able to get the salary you deserve. You’re a mum and you want to help your spouse with the financial responsibilities at home, especially now that your eldest is going to college and your 4th child is entering preschool. You’re here because you want to learn how you can help your family with all the bills, tuition fees, house mortgage. Speaking of house mortgage, you’ll learn simple money hacks I’ve gave last Monday in the webinar. Jomar doesn’t want to deprive you the privilege of learning from new mentors on how you can learn these things. 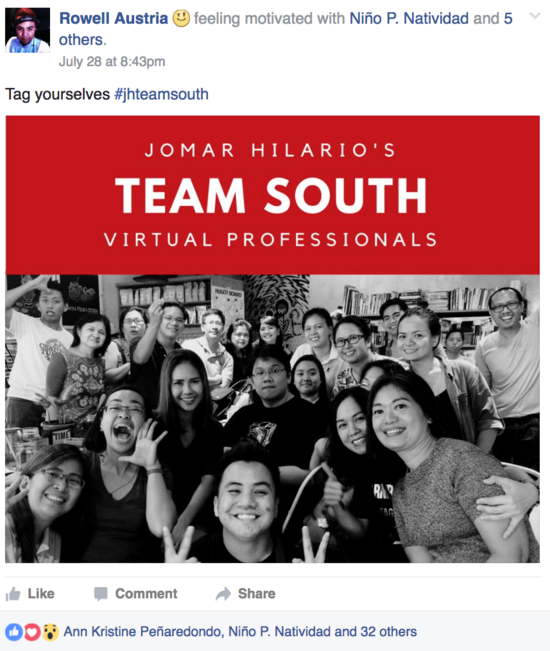 This is why Jomar invited virtual professionals (VP) who teach you how they were able to do it and how you can too. 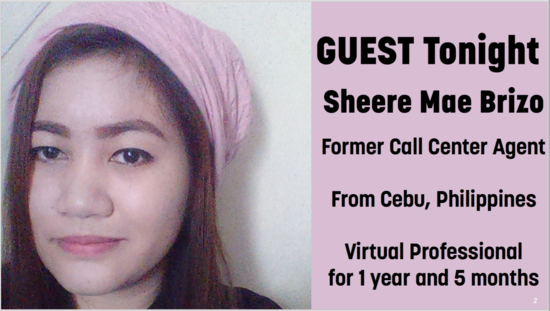 Do you want to be like Sheree Brizo from Cebu City who now works full-time sa bahay with her husband na virtual professional din? Learn her secrets how she got clients online instantly. Five days na lang and the SPECIAL DIS.COUNT.ED RATE to start your virtual career will end na. 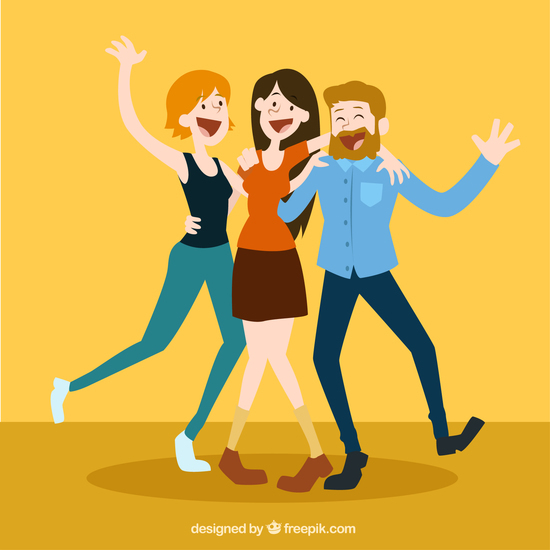 If you want to join — LIVE — together with fellow aspiring virtual professionals and meet the people who have joined us in the past webinars, like Sheree, Mike, Nimfa, Anna Maliwat in the flesh, here’s your chance. Join now and BUY 1 TAKE 3 for the Cebu: How To Start Your Virtual Career Seminar on October 1. Anybody in CEBU FEAST? You were requesting for a seminar. Here it is. Grab this chance now. It may take a year or more to have this kind of seminar again in your area. Will you let this chance pass by? GET P43,870 MORE WORTH OF GOODIES! If you join on or before Sep 6, Tuesday — you will also get the following highly-valuable freebies from Jomar for F.R.E.E — for the FIRST 15 who get a ticket. Bank deposits are also accepted. Do you want to be successful in work and in life? Observe and listen to people who did it, failed, tried again and succeeded in doing the things you’re aspiring for. Imitate your mentors. Follow their lead and be on your way to success. Attend the webinar and ask me questions or our guest on Monday. Learn How You Can Overcome Overthinking In Your Virtual Career on Sep 5 at 9pm. Asking doesn’t mean you’re stupid. It only means you are wise enough to ask those who have succeeded HOW they succeeded and how you can too. 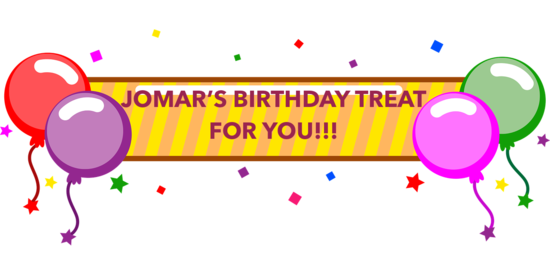 Why has there never been a birthday SOMETHING from Jomar? Well, I thought so – you didn’t notice, did you? But now because of my total love for you (read: the comelec hack has exposed our birthday details public anyway) – I’m going to have a big promo – starting today – because it’s my birthday! 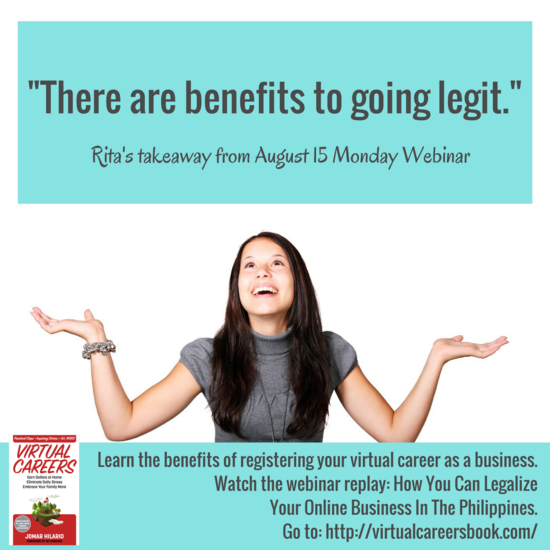 But before that – have you ever WONDERED what’s the career path for virtual work? How about Affiliate Marketing? Have you heard of it and you’re curious about it? Ever wondered the difference between Virtual Careers and Affiliate Marketing? If you have, then you should check out the DISCOVER seminar – where I talk about both and guest a husband and wife team – a Virtual Professional and Affiliate Marketer. Now this Discover Seminar, w/c I did in DLSU is about 5 hours long with lots of FUN BITS and it’s valued at P 5000. However, what if I told you, you can get it for FREE? 3. You’ll know what’s the 2nd method to earning that’s not working for anybody else -online. 4. 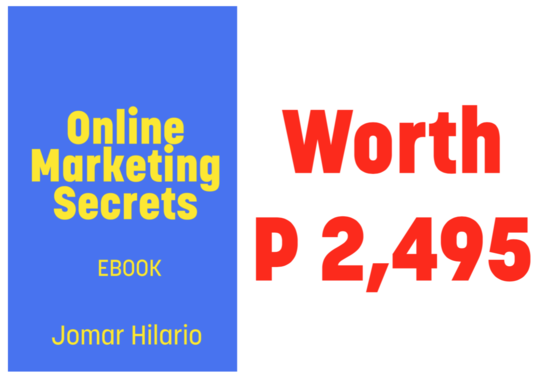 You’ll learn the tools you need to use to gain P45,000 monthly – not just one time . 5. 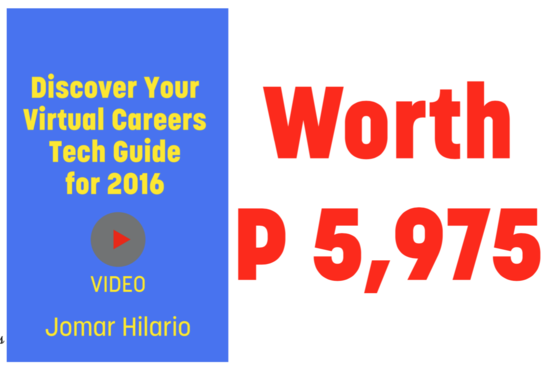 You’ll find out how others have combined these two methods to earn more than P90,000/month with proof of earnings. 6. You’ll know how you can start with method 1 or method 2 from Filipinos who have done it before. All the above, you’ll get from the DISCOVER SEMINAR – NOW FREE for anyone who gets the HEAVILY discounted —-courses below. Avail any of these marvelous courses —at 39% OFF and take Discover Seminar for FR.E.E! Promo runs starting TODAY August 27, 2016 (Saturday) 12:00 MN until September 6 (Tuesday) 11:59PM only. MARK YOUR CALENDARS AND CLAIM YOUR GIFT until September 6, Tuesday, 11:59PM only. P.S. ENJOY 39% OFF! 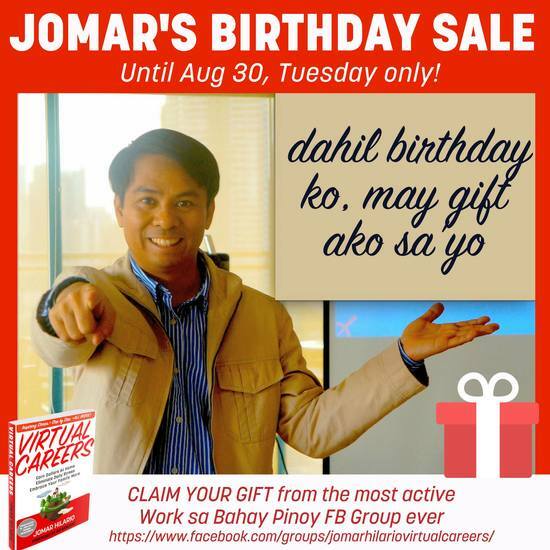 Jomar’s Birthday Sale will start today, August 27, 2016 (Saturday) until September 6 (Tuesday) 11:59PM only. Get Discover Seminar For FR.E.E when you get his marvelous courses! Links to courses above. So gusto mo talaga mag work sa bahay? Become an online employee na lang so zero commute? 4. Your complete profiles in Upwork, Freelancer.com etc. 5. 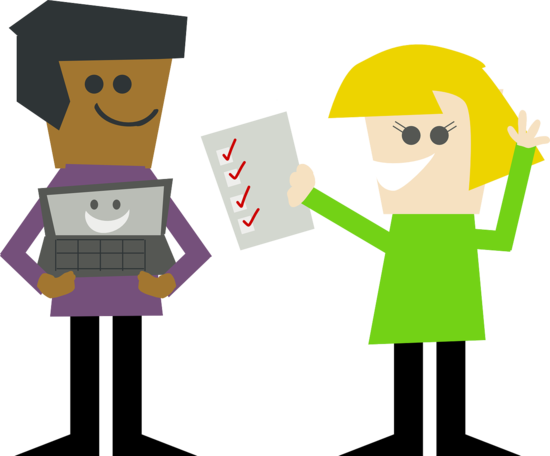 Your completed and perfected exams – in Upwork and Brainbench. 11. You sent at least 100 applications with custom resume and cover letter each – and that’s just the start, you know. 12. Your expectation that either they reject you or you’ll reject them if the offer is too low or you don’t like the task. Rejection is not hurtful, it’s part of it. Even you will reject them. Love the list? Let me know! 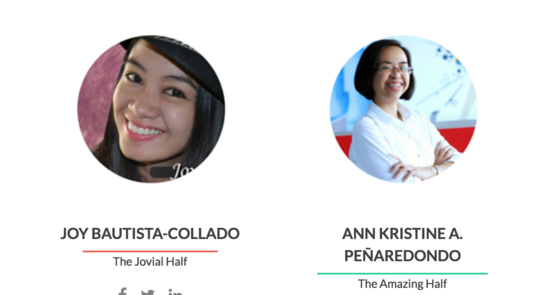 Get a seat to the Cebu: How To Start Your Virtual Careers on October 1. Get a seat or BUY 1 SEAT & TAKE 2 MORE! But let’s sweeten it for you. For those who get their seats and qualify for the FIRST 15 to sign up, you’ll get these valuable materials with a Total Value of P43,870! You must sign up until September 6, 2016 only and that’s final! So stop the delay. Your loved ones are not getting younger. Enjoy them this 2016 na! Not next year. If you have friends from Cebu and nearby areas, forward this to them. Are you one of those who over analyze things? Are you one of those persons who can’t decide things for their virtual careers? Are you overthinking things about your virtual career? -What will be my domain name? -Will I get hosted wordpress na for my assignment? -Branding? I want to have one before launching my portfolio. -I’ll start doing my assignment once I have already a list of 10 apps/tools. This is such a common problem. On Monday, Margarita will confess how she had fallen to this pitfall she created for herself called “paralysis of analysis”. Margarita is a 25-year old girl from Lucena City. She used to work in a day job as a financial auditor. Let’s listen to her story on Monday how she became a victim of overthinking and finally get out of the trap. This might happen to you too. Listen and learn to Margarita’s “rising slowly to the top” story. Attend the webinar on Monday at 9PM so that..
You’ll learn how you can avoid this and get ahead at your virtual careers. You’ll escape this trap of overthinking & finally get the result you’re longing for since you decided to get a virtual career. P.S. Get MORE, Take MORE when you move fast to register to Cebu: How to Start Your Virtual Career Seminar on October 1, 2016, Saturday. Prices will increase after September 6! What did you learn from last night’s webinar? If you attended the webinar, you’ve heard from Sheree how she overcame the challenges when she was starting her virtual career. And she shared you the secrets how she got clients online. This is the short summary. You can get more from these tips if you watch the webinar replay. How To Start Your Virtual Career Seminar goes to CEBU CITY! It will happen on October 1, 2016, Saturday. Tell your friends and family about this BECAUSE you’ll Get More Savings When You Come in Teams! Buy 1 Take 2 MORE! Avail the Buy 1, Take 2 More Rate & Get These Spectacular Offers Until September 6 ONLY! Hurry! Prices Will Increase After the Deadline! Because when you buy and come in a team, the three of you in the group will receive these if you move fast! Avail the Buy 1, Take 2 More Rate & Get These Spectacular Offers Until September 6 ONLY! Hurry! Prices Will Increase After the Deadline! Do some favors to your friends and relatives in Cebu/Bohol/Visayas by forwarding this email to them. This might be the one option to have the change they want for themselves and their family. Forward this to them now. Early bird rates will end on September 6. It will only take 5 minutes or less to answer this. Now live a marvelous life. How Do You Create More Suerte? How do you create suerte? When I made the decision to work sa bahay lang, I realized how suerte I am. Suerte ko kasi nalaman ko na puede pala na may career ka pa din kahit nasa bahay lang. But the real suerte came when I chose to resign and have a virtual career. 1. Suerte kasi you have no commuting costs. Before I had to spend P 4000 a month for travelling to/from work. Pagod ka na sa byahe, magastos pa. Cutting down on the commute is also great for the environment! 2. Suerte kasi you can finally ditch those long rainy journeys to your work, lalo na ngayong tag ulan (samahan mo pa ng “Habagat” effect). Nakaka-relate ka ba? 3. Suerte kasi you save in travel time. You can have an extra time for an early morning work out, kesa nagmamadali ka kasi baka maipit ka sa matinding traffic o makipag siksikan ka na naman sa MRT. 4. Suerte kasi you have flexible time. It allows you to set your own working schedule so that you can prioritize more effectively. 5. Suerte kasi aside from the flexible time, you also have complete flexibility over your working environment – whether that’s your home office, a restaurant, a coffee shop, anywhere na may internet. 6. 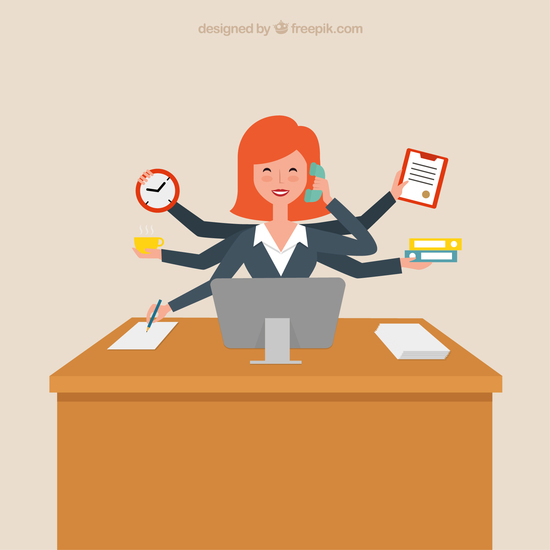 Suerte kasi you have less stress and distractions – Say goodbye to your manager who needs a report on their desk ‘ASAP’ and team members who desperately need your assistance on top of your deadlines. 7. Suerte because of the proximity to your home & family – With long days and equally long travel times it can be hard to be there for your family. 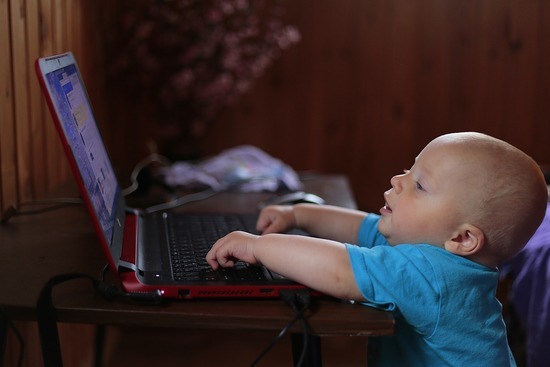 Working from ho.me allows you to be closer to your children. 8. Suerte because improved health & fitness is more achievable – You now have more time for your well-being. This could be a workout in the morning/lunch break or even just a 5 minute walk to clear your head. 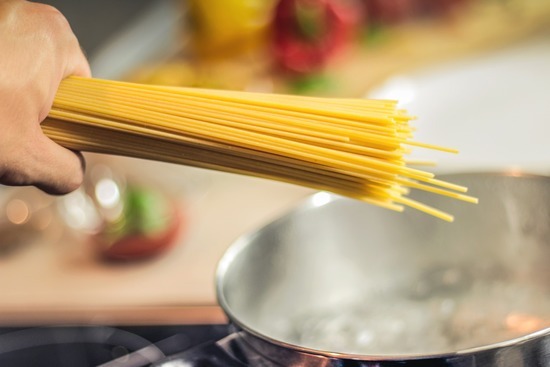 Working from home also means you have access to your own fridge and kitchen facilities; this gives you more opportunity for healthier meals and snacks. 9. 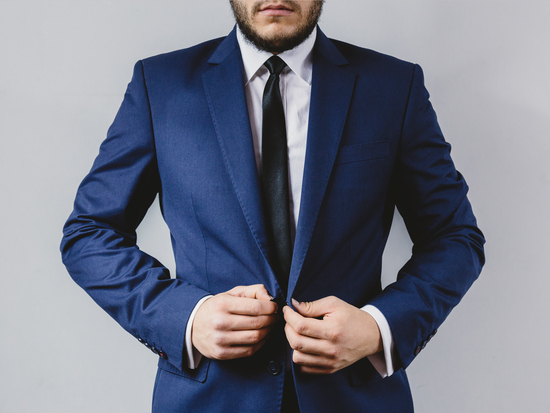 Suerte because you don’t need to spend for your workwear – In the office environment, it is often required that you dress in a certain way. Financing your workwear tends to be costly. You also have to endure working all day in an uncomfortable attire. Working from home gives you the ability to wear what you are comfortable with- even in your pajamas. There are just some of the many perks you can get when you have a virtual career. Create your own suerte by watching Jomar’s webinars. Kelangan ba ng suerte dyan Isabelle? Find out how Sheree is doing it. Let’s learn from Sheree Brizo of Cebu City. She and her husband are stay-at-home parents earning in do-llar-s.
You’ll get tips how to stand out and impress clients online. 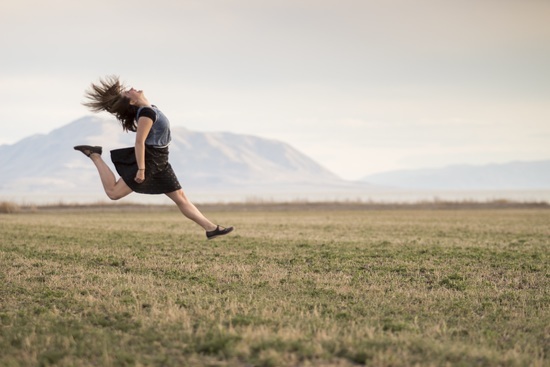 You’ll find out how Sheree got a client without going through the initial and final interview. You’ll learn what questions you should ask during interviews. Suerte ka na nga kasi Jomar’s doing it libre. You’ll learn loads of practical information that you can immediately use. Watch the webinar replay here: https://virtualcareersbook.com/datewithfreedom2016/ to know more about these. 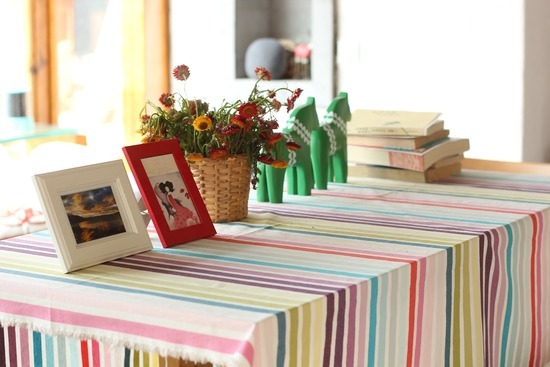 For many months – the #3 option’s price is at P 450- including shipping. That will be changing this SUNDAY. 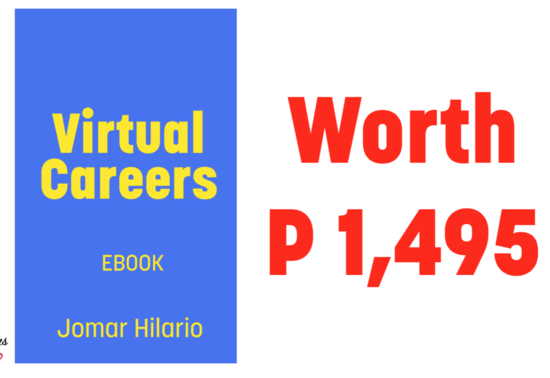 So if you’re looking for a copy of the Virtual Careers book that’s autographed, please buy them now as the price is increasing to P 1,000 this SUNDAY, Aug 21. Because once you get from me, you’ll also get access to a special members-only site that has bonuses and goodies. What they are – you will find out soon. 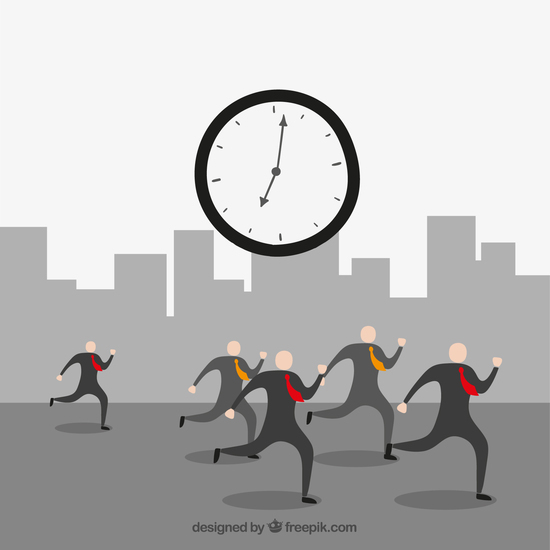 But do hurry, get the Virtual Careers Book NOW before the price goes up on SUNDAY. Advance your virtual career business to the next level! It was an interview with AJ Garay, a virtual professional like you. Don’t have a virtual career yet? Then prepare for something bigger. Watch the replay of the webinar; so that, when your time comes, you have ideas already. Here are some of the takeaways from the attendees last Monday. Even our hosts learned a lot from AJ. 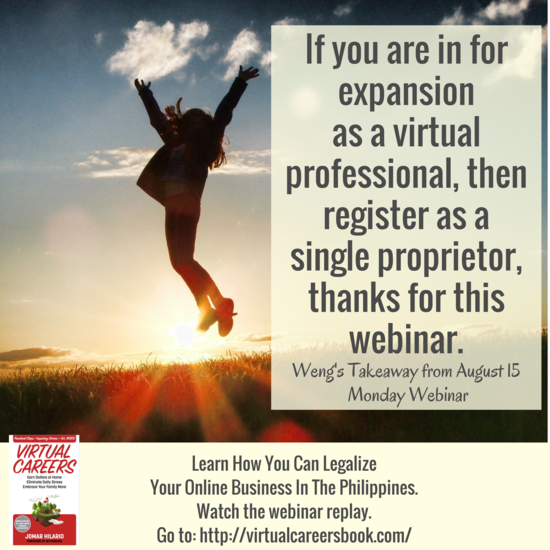 Want to learn how you can legalize your virtual careers as a business? 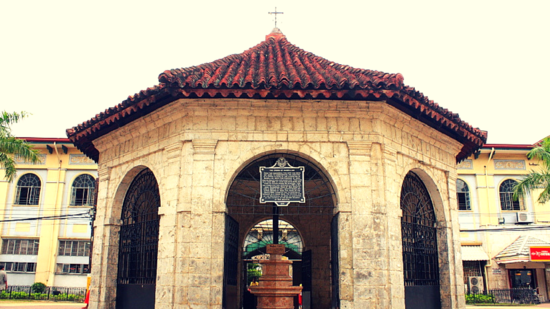 ARE YOU LIVING IN CEBU? Is your OCT 1, free? It must be. Wait for ANNOUNCEMENTS SOON! Stay tuned for more details about these. If you’re in SINGAPORE: Then join this group to know the details of the meetup happening this Aug 15, MONDAY 10am-4pm at Paul Anthony Samaco’s place. On a different note, let’s talk about legalizing your business sa Pilipinas. 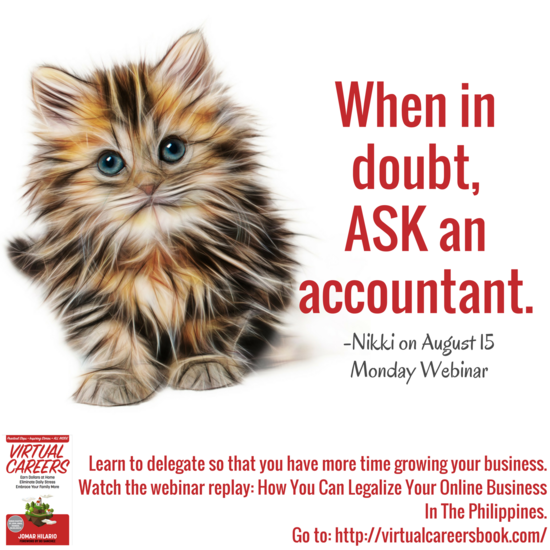 Do you have these mind-boggling questions about your Virtual Assistance business and how to make it legal? 1. How can I register my Virtual Career as business? 2. Yung business name ko ba puedeng name ko lang? 3. Paano magbayad ng tax? Dapat ba lahat ng expenses may official receipt? Dapat ba lahat ng client ko bibigyan ko ng resibo? 4. Need ko ba talaga ng accountant? Hindi ba puedeng ako na lang? 5. 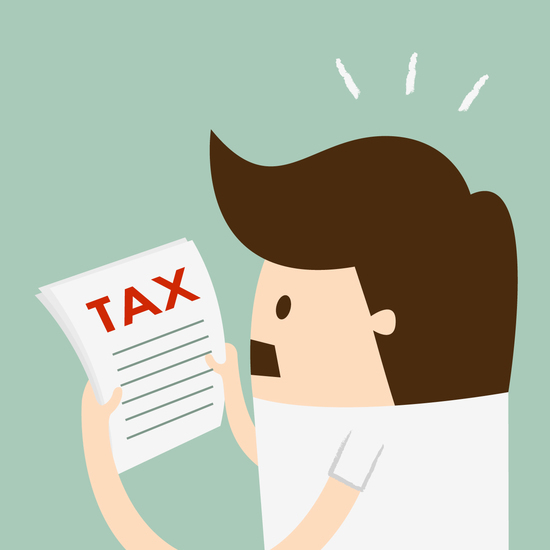 Should a virtual assistant/professionals need to file taxes even if he/she is not an employee? Di ba exempted sa tax yung mga virtual professionals? 6. Anong office/company address ang ilalagay ko? 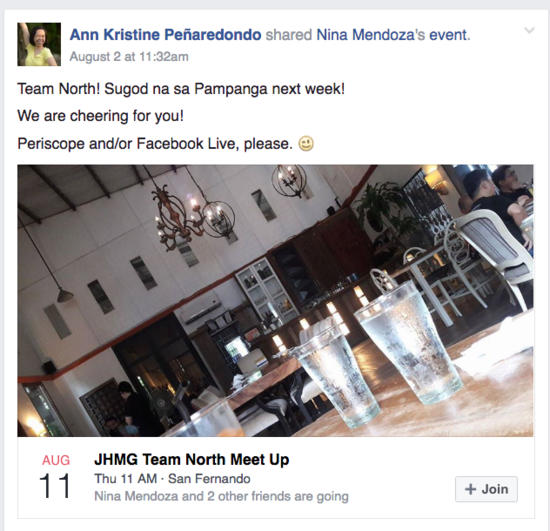 Why not attend na lang the webinar on Monday, August 15 at 9pm? Alvin Joy or AJ for short is a web/software developer from Batangas City. He is a Virtual Professional who registered his web/software development business as a sole proprietorship. Let’s ask AJ how he did it. Why didn’t he register as a self-employed individual? You’ll know the step-by-step legal guide on how to register your online business. You’ll learn the advantages of registering as a Virtual Professional taxpayer. You’ll find out which is better to do for a Virtual Professional like you: register a business or register as self-employed? And did I say Ann & Joy will host this show? Yes! We’ll have them live sa webinar to share with you as well their thoughts and insights about the topic. It’s another Monday night dedicated to learning and lively discussion! You should attend so that you’ll never worry in the future. You’ll never worry about the government hunting you for tax evasion. You’ll never worry securing proof of income if you have to apply for loans/credit cards/travel visa. FAQ: How will you use the iPod? 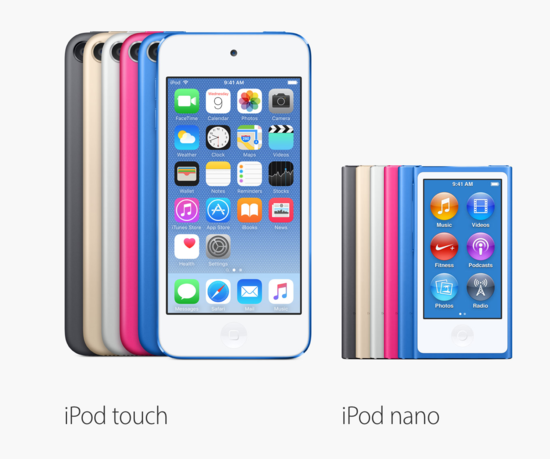 Did you ever want an excuse to buy an iPod NANO or iPod TOUCH but think it’s a “LUXURY TOY”? 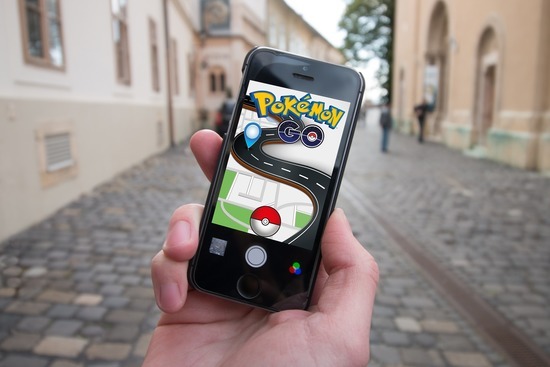 It’s NOT something that you’ll use for more Pokemon hunting. 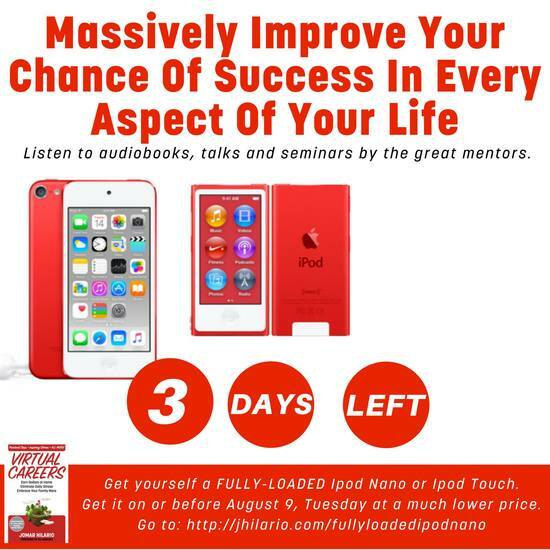 If you get an iPod from me, you’ll find it loaded with hours of marketing interviews, audio books, seminars that you need to transform that mind of yours to a more EFFECTIVE entrepreneur’s mind. With no exception — this is all you listen to. I’ll let you inhale on that for a while. Well, do you want your cellphone’s battery to be reduced to zero after 2 hours? You need a dedicated device for your total growth. You need a long battery life (30 hours audio, 3 hours video), easy to use, nice to look at and touch device. 1. You listen to it when you’re doing a manual work. 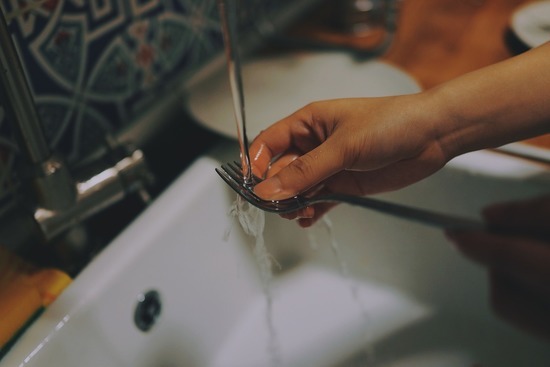 Manual is washing the dishes, sweeping the floor, folding the clothes, standing in queue, etc..
MANUAL WORK (doing chores) plus MENTAL WORK (listening to your fully loaded iPod) = no wasted time + multi-tasking + growth. 2. You play and listen to it when you’re driving or commuting. Iwas inip sa traffic and long commute hours, natuto ka pa.
3. 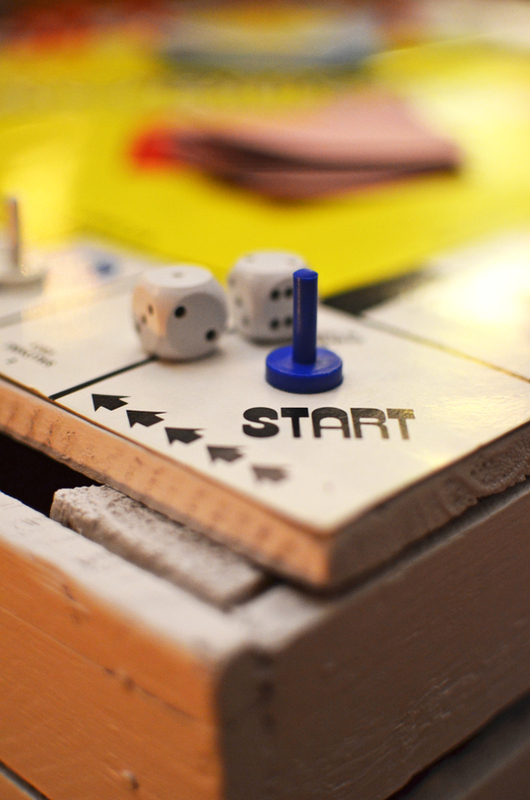 You bring it out from your pocket to press play. Every time you do that, you feel great because you know you’re doing something valuable. 4. You marry this device for a very, very, very, very long time if you want to get ahead in your LIFE. Yes, I’m giving you an excuse to invest in yourself. Get yours before TIME RUNS OUT & SUPPLIES RUN OUT. 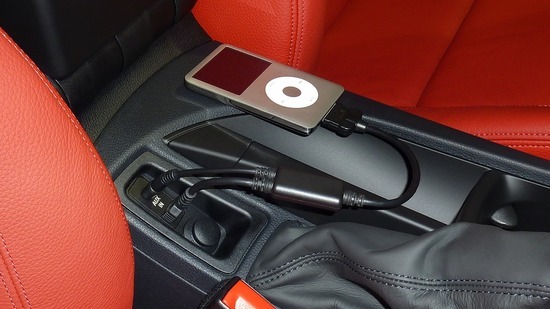 Get These Fully Loaded iPod. What’s inside? They contain the same materials, Bro. Bo and I had listened to many years ago. You need these to reprogram your mind from employee to marketing/entrepreneurial mindset fast. Drastic Price Increase May Happen if you dilly-dally. Or I may STOP Offering These For the Meantime. So you really want a change – inside? Jomar, what’s that Heavy Hitters Magazine for? That’s for the MAN in your life. Just leave it lying around the house where the MAN can see it. IF HE READS IT – He thinks it’s a FLASHY CAR MAGAZINE. It also details the SUCCESS STORIES of many unknown entrepreneurs. The PHOTOS OF THE AUTO TOYS are just decoration. Most of the TEXT of HEAVY HITTERS is about Success and How They Did It. Heavy Hitters is a great gift to the MAN IN YOUR LIFE to help him SUPPORT your Virtual Careers Dreams. And every iPod ordered comes one with PHYSICAL RARE ISSUE. NOTE: I’m GIVING AWAY MY ONLY COPIES OF THIS MAGAZINE TO SERVE YOU. I TOOK YEARS TO COLLECT THEM, THEY’RE NOW YOURS WITH MY TEARS. 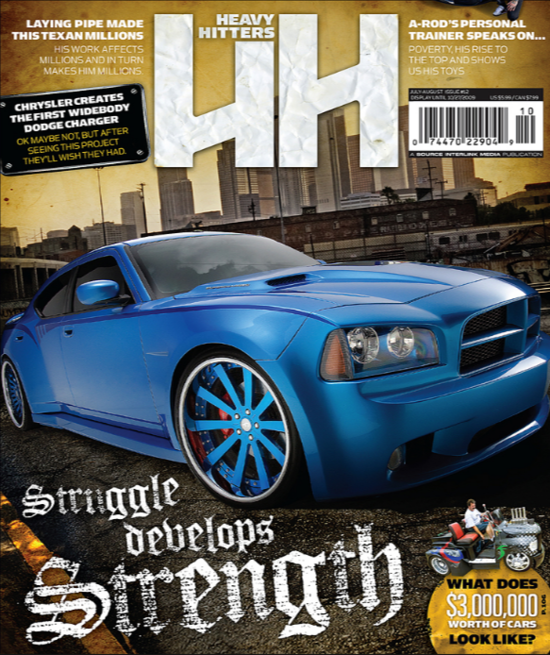 Get your IPODs + Heavy Hitters Magazine + VC Book NOW ! 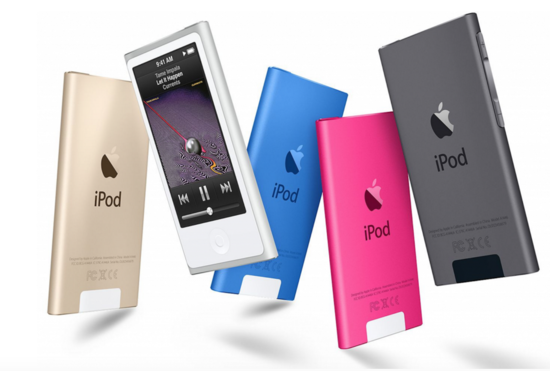 The amount you’ll spend in buying this 16GB iPod nano worth P 13,995 (or an IPOD TOUCH worth P 25,995) is nothing compared to the TREMENDOUS I-N-C-O-M-E you’ll gain after you listen & apply what’s inside these iPods. GUSTO MO NG NEW FRIENDS? Just want to give a SHOUTOUT to TWO GROUPS who met recently : The JHVC South Group and the JHVC Middle East Group! JHVC’s Middle East Team’s 2nd Meetup! (They even called me to say THANKS!) THANK YOU. Enjoy these communities forming spontanenously. I’ll continue to support forming groups like these so you can support each other. – para sainyong 100 reasons. Jomar, I don’t know how to start? Restart? How? I GOT HACKED, HUHUHU and YOU DON’T KNOW HOW IT FEELS. I posted this in FB and got 35 comments in such a short time. So it must mean a LOT. 1. HACKED So one my PAID accounts got hacked today. Find out how that happened & what you should do to make sure it doesn’t happen to you. You’ll find out soon. 2. 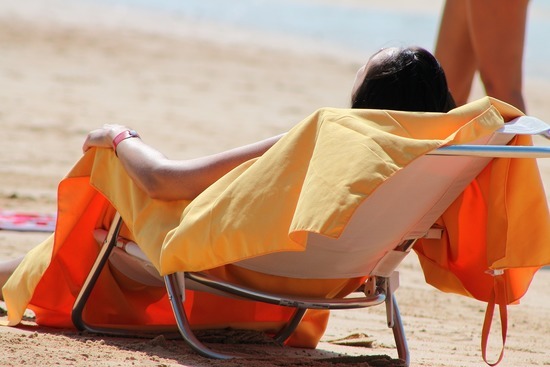 SCAMMED Also – on the same day, I think I became a victim of a TRAVEL SCAM. I should have known better. But maybe you want to avoid this from happening to you, yes? Let’s turn my closed door into a brand new massive open door for you. You’ll find out soon. 3. SAVED On a bigger more important note: I FOUND OUT personally how to save up on HUNDREDS of THOUSANDS of pesos when you buy or purchased in the past – a house, a car or anything expensive. Many people said THIS WAS THE MOST IMPORTANT THING for them. This has been the advise of so many mentors before – but this is the first time -SOMEONE (that’s me) is showing you EXACTLY WHAT TO DO and WHERE TO DO IT. How? You’ll find out soon. SO WHEN EXACTLY CAN YOU KNOW THE DETAILS OF ALL THE ABOVE? Maybe this Monday – I’ll get the chance to tell my stories, yes? I’m not sure, let’s see, shall we? Why don’t you ATTEND THE WEBINAR and find out! In the meantime – we have a BRAND NEW VP guest on Monday! Lots of you want to START getting a PART TIME – VIRTUAL CAREER, yes? Well our guest is DOING exactly that! For this batch at least. Q: Jomar, bakit nga ba i-nooffer mo itong IPOD? A: The reality is some of you want “part time income”. And 20% of you want more. You want TOTAL FREEDOM. 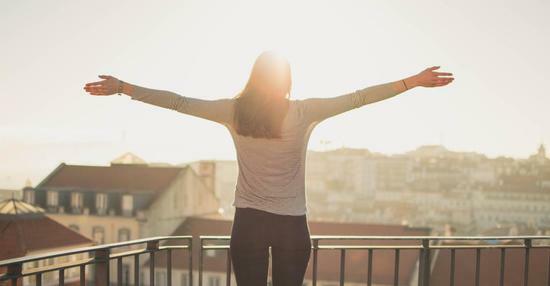 The kind of FREEDOM that is easy when you’re a business owner and not working for someone else. These resources (anglaman ng IPOD) helped me tremendously in the past. I know they will help you too. Plus these are the VERY SAME resources that Brother Bo Sanchez and I shared 10 years ago. THINK ABOUT IT. These resources helped a POOR missionary to become a MILLIONAIRE missionary. These resources are the same one Brother Bo GAVE ME in the PAST. And now I pass it on to you – as friends. But some of you are saying – I don’t need that. Ok lang akosa online job. Hindi ngaakomaka-simula eh. One of the biggest reason why MOST PEOPLE can’t start is that there seems to be a FORCE preventing them-FORCES preventing them from starting. Parang ayawtalaga ng TADHANA. Parang they’re AFRAID to start or even CHANGE. You call this FEAR. It’s probably NOT. It’s probably called the “PROGRAMMING OF SCHOOL” – to keep you working working working and NOT CHANGE MUCH. It’s a trap. Look at this diagram : THE TRAP. 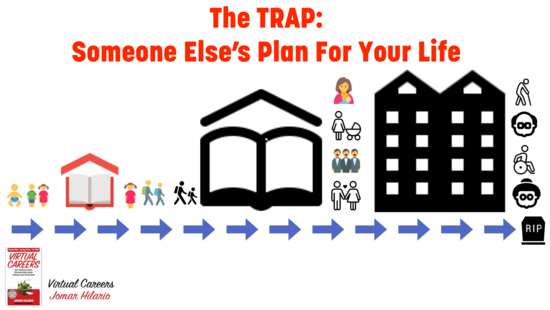 Want to GET OUT OF THIS LIFE TRAP? Do EXACTLY what people BEFORE YOU HAVE DONE. There! That itself can be the contents of an ENTIRE SEMINAR WORTH P 20,000. “To Achieve the Same Accomplishments as Others, Do EXACTLY what THEY HAVE DONE. Of course some things YOU CAN’T DO. 1. Like You can’t be born with a father who’s a Billionaire. Tama? 2. You can’t TRAVEL to the US and talk to the owners of UBER to bring UBER to the Philippines X years ago. Tama? It’s already been done. So you can’t DO THAT EXACTLY, Tama? LISTEN TO THE SAME AUDIO RESOURCES AND PODCASTS as they have done.CAN YOU DO THAT? And where are these resources? Get yours here: http://jhilario.com/iwantipod before TIME RUNS OUT & SUPPLIES RUN OUT. 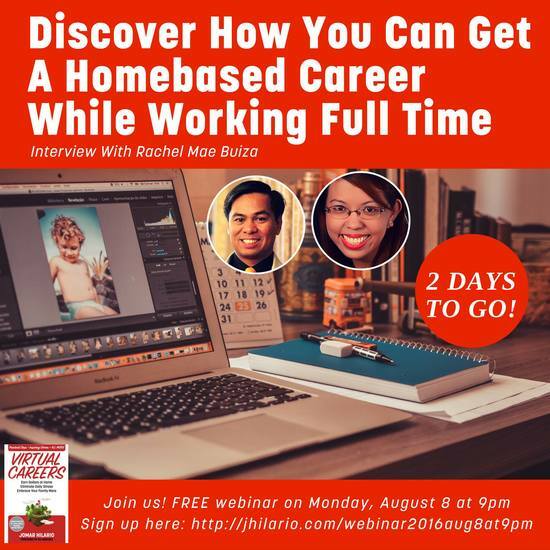 Register here for free: http://jhilario.com/webinar2016aug8at9pm – Monday 9pm. Are you familiar with success? In the last 8 years, I’ve seen approx 7 cases of open wounds and surgery in my family. Don’t worry, 4 of those are the cesarean section. 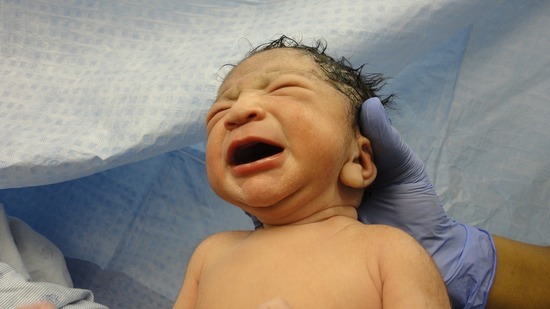 Yes, all the kids were brought out to this world by the surgical scalpel (knife, para sa mga jeje *more on this later). When you’re seeing this many wounds, you get to become familiar with the healing process. The skin looks really red and what are these white things on the skin? Is it infected or not? Shall we treat it with drugs or naturally using AC Vinegar? See the troubles a parent has to go through? If you knew this, would you have kids? Some of you would say – YES, of course – after all, you had the first-hand advantage of BEING a kid yourself. But the same is NOT TRUE for Virtual Careers. Nobody has had a background on it. You haven’t gotten a virtual career before. So how do you prepare for it’s ups and downs? 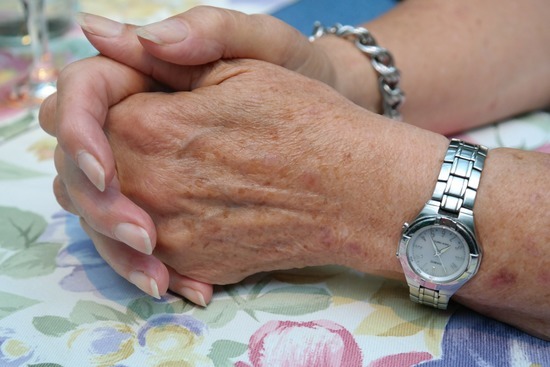 When “SURGERY” is needed, how can you know if you’re healing or getting worse? Let’s talk about BUSINESS OWNERS, now. The same story holds even more true. *unicorns = rare companies that dominate our worlds today, like Instagram, uber and FB. Most of the other companies are lesser known, like “shareist”. 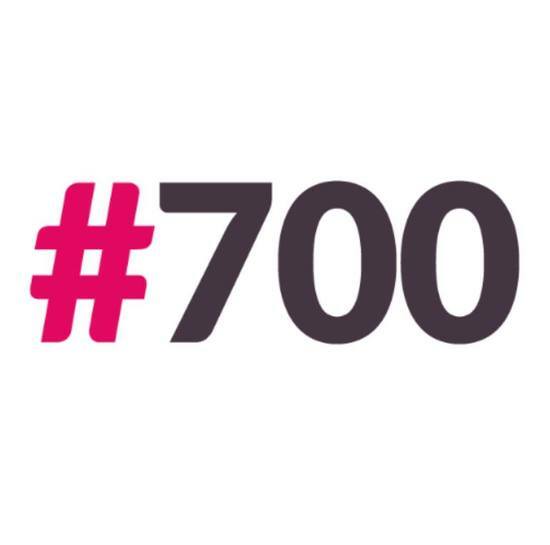 Wouldn’t it be GREAT if you had access to minimum 200 interviews of entrepreneurs? Wouldn’t it be GREAT if you had access to minimum 48 hours of personal dev training? Wouldn’t it be GREAT if you had access to minimum 60 hours of sales training? Wouldn’t it be GREAT if you had access to studies on being really wealthy? Wouldn’t it be GREAT if you had access to the mindset of billionaires? I mean – who wouldn’t want the VERY RESOURCE that has been instrumental in converting employees to employers? Given the chance to get it – for a tiny fraction of the amount – you can earn – LATER – wouldn’t you just GRAB IT? But you’re unhappy about anything…. Wouldn’t you want to discover what you’ve been MISSING all this time? This resource that I’m talking about –is really what you need. It will show you a WHOLE NEW WORLD you’re missing – just under your NOSE. It’s happening all around and you just don’t notice it. YOU SHEEP OR THE SHEPHERD? Would you rather that you just FOLLOW or that you LEAD? Would you rather day “BAAAH” all day long or be able to speak in different languages. Would you rather SET YOUR GOALS AND HIT THEM or HIT OTHER PEOPLE’S GOALS? Would you keep following na lang? With all your talents and abilities? 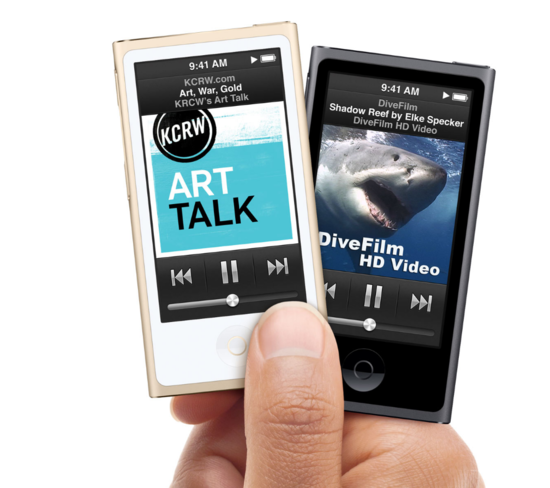 This resource I’m talking about are AUDIO MP3s that are inside / gifted in the brand new IPOD TOUCH and IPOD NANO (yes, pati IPAD MINI, if you like) that you will get from me. It’s loaded. You won’t need to use your phone. Just use this. Preserve your phone battery life. Use one device for mindset reset and one device for other uses. You need the device so you START THINKING IN THE BIGGEST WAY POSSIBLE. So ready ka na ba for big income? Then big your mindset (yes, another jeje)! It’s been made sooo tiny by 18 years of SCHOOLING – so you can be the PERFECT EMPLOYEE. Become the PERFECT BUSINESS OWNER. Equip yourself using this FULLY LOADED IPOD. Special Promo to get the Fr.ee Virtual Careers book & the Heavy Hitters magazine has ended. But will you wait for another “perfect timing” to grab this device that will change your life? 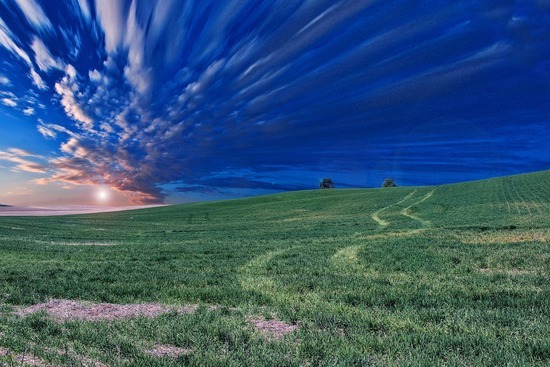 Are you still waiting for ABUNDANCE? Grab it by starting with your mind and mindset. Go! 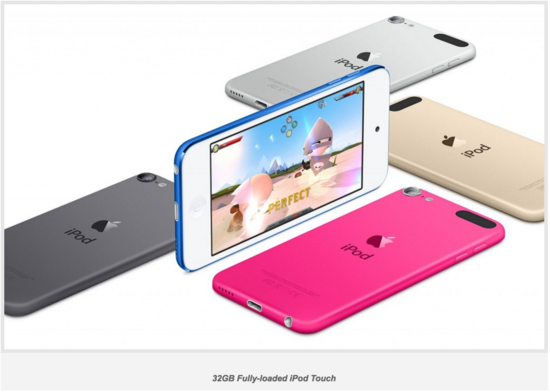 Run and Get your VERY OWN FULLY LOADED IPOD TODAY. 1. It’s autographed by Lucia, 6 years old – with a message for you. 2. It contains the REJECTION and ACCEPTANCE letters for an online job from a REAL VP named Nina Mendoza. 3. It has the custom made PRINTED IVS Virtual Assistant Contract that I made -that you can use when you get a client who’s clueless about contracts. Note: Virtual Assistants = VA = Freelancers = Virtual Professionals – the new name I gave my trainees in the book “Virtual Careers”. *That last statement is sadly TRUE. What this all boils down to is – apparently the Filipino business owners who talk to me – needs clarity when it comes to e-commerce & the function of VA’s in e-commerce. You – if you’re a business owner – you want to get a clear overview of how you can sell your company products & services online. You’re actually asking – “What does a fully running E-commerce-enabled, internet-enabled, virtual assistant-enabled, modern business look like? What transactions flow from virtual assistant to your company and vice versa? Since I began training virtual professionals – I’ve always trained them to address the needs of the foreign market. This Monday, change is here. I’ll now address your need – Mr and Mrs or Miss Filipino Business Owner. 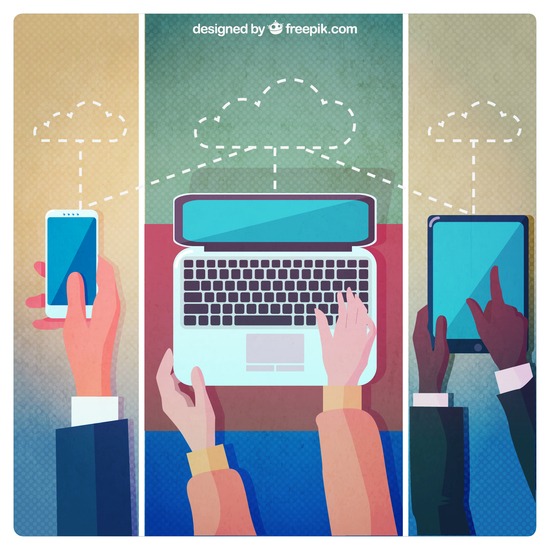 How can you bring your company to cyberspace with the help of virtual professionals? Find out on Monday! August 1 at 9pm. Just click here for registration! But wait, I ask you a favor. May I ask you to forward this email to your buddy or kumare -who also owns a business. A school, a jewelry store, a vet clinic, a dental clinic, a doctor’s hospital, a small store, a big store,a big supplier, a manufacturing outfit, a local MLM owner – any business owner really. As long as the owner feels that her/his business is already OVERDUE to enter the internet – but there’s a need to understand it first. This is the first time I’m addressing this concern. 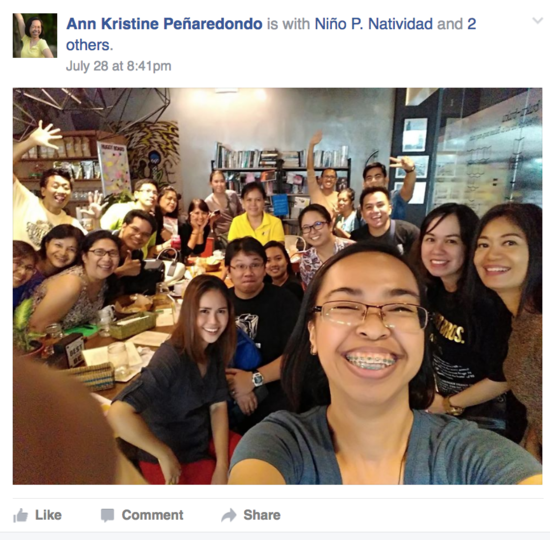 After all, who is BEST to understand & to take advantage of the technology & strategies I teach FILIPINO virtual professionals – but FILIPINO business owners! For many years I have served the foreign market -and my VP students have ENRICHED the businesses of these foreigners. Proof -almost all my US counterparts hire Filipino VAs and rave about the service they get. 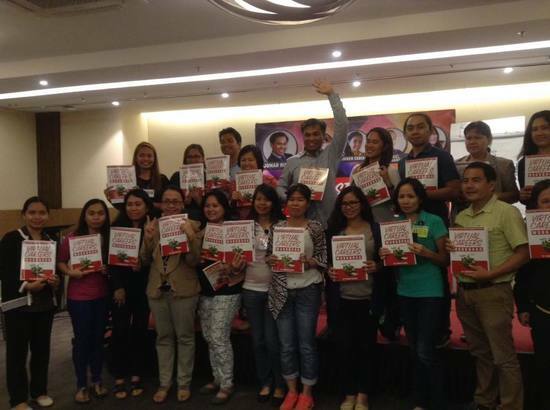 It’s now time for the Filipino businesses to profit from VA’s who I train. However, you have to raise your hand. You have to register for the webinar on Monday. Join by clicking this. You have to advocate your business owner friends to watch live or the replay. 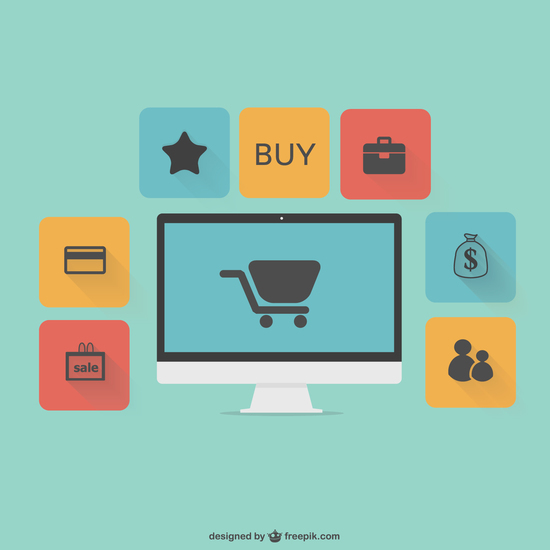 I’m offering this overview of VP/VA-Assisted eCommerce Webinar on Monday at 9pm for free. Do your best to catch it live. Thinking how I started in online marketing plus teaching Virtual professionals? I tell you the secret. This is how I began. I started by changing my mindset. I listen to mentors through their talks, seminars, paulit ulit. 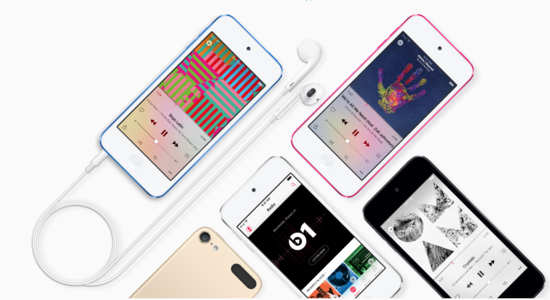 If you want, you can buy a FULLY LOADED BRAND NEW 16GB iPOD NANO or IPOD TOUCH from me and prepare your mindset for bigger success – ON THE GO! It contains the materials I listened to which massively changed the way I think. Listen to it while you’re doing the chores. Listen to it while you’re driving or stuck in the traffic. Listen to it while you’re commuting to get to/from work for 3 hours. Listen to it while waiting or standing in queue (bank, grocery, cashier, etc). Unlike your iphone and android phones, you can play audio/video from this equipment for longer hours (30 hours audio, 3 hours video). This is for your total growth. P.S. I believe some truly elite-thinking Filipino business owners really want to maximize the internet. I have long since unlocked that box. You want to know what’s inside? Join the webinar on Monday 9pm. Join by clicking this. I’m sure you got the idea on how to make a website that works automatically. 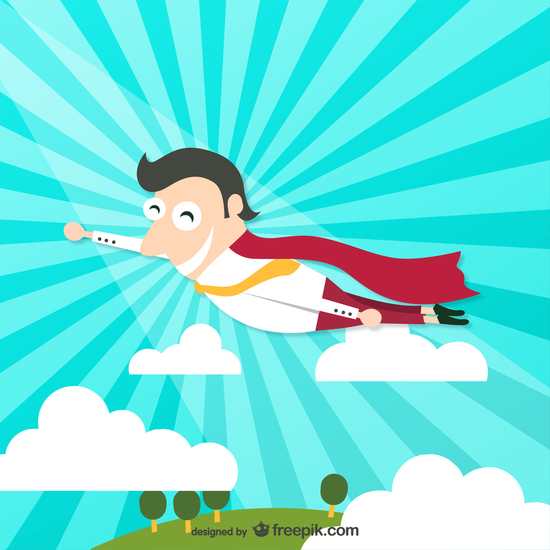 That’s what you called Marketing Automation & Mannix showed us how to do it step by step. 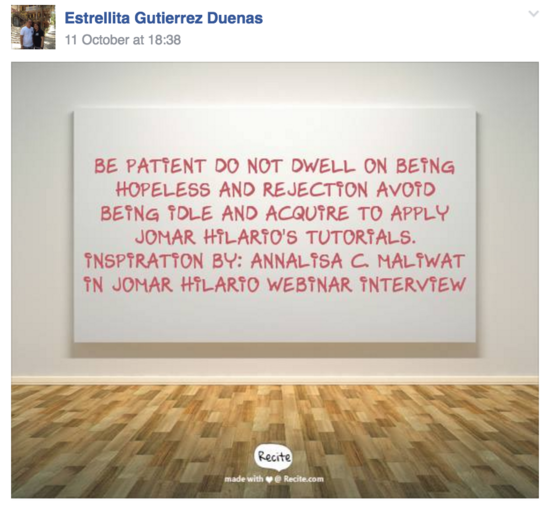 If you were not able to watch it, catch the replay here http://jhilario.com/instantskills . Enjoy copywriting lesson also with Neri Marcos. 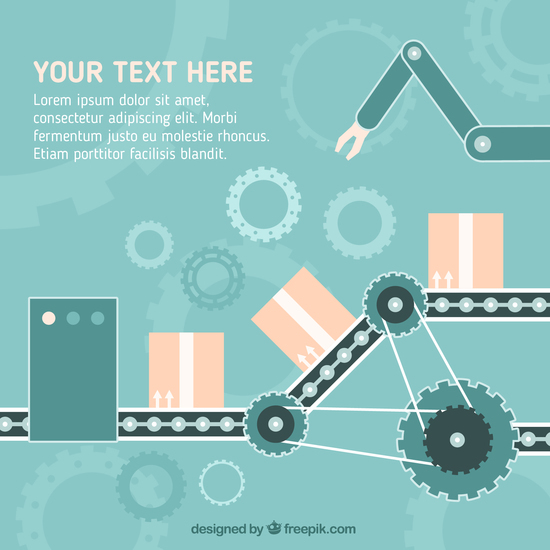 What If You Can Do Social Media Marketing Automation Too? This Monday, Jomar will let us learn for f.ree again. Louise resides in Dubai as an OFW with her family. Like you, she’s making plans to go home na for good. She is a part time Virtual Professional. Listen to her “Lakbay ng isang OFW” stories. Whether you’re managing your personal social media accounts, doing it for your business or other’s business, you should watch this webinar. Learn from Loiuse how you can earn more while working less with this new tool. 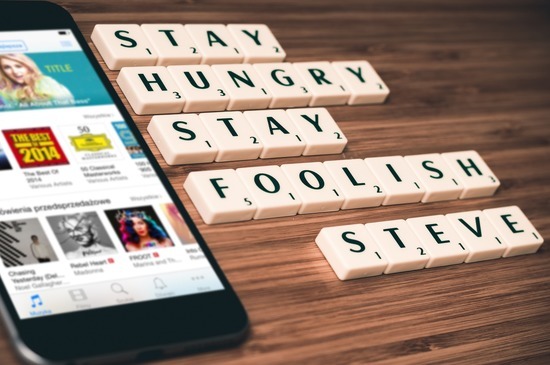 Find out how you can do the research and post new and interesting content to all your social media marketing chanels without consuming time to go to another websites. Time to reveal this new productivity tool mamaya sa webinar. Tonight, MONDAY, JULY 25 at 9:00 PM all will be revealed. 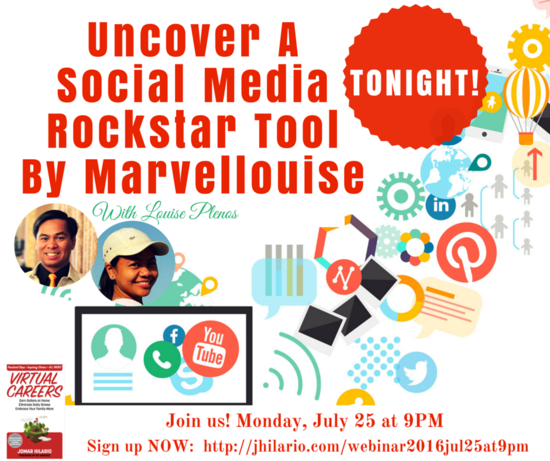 Sign up be clicking here: http://jhilario.com/webinar2016jul25at9pm. P.S. Want to see the 4-page sample VA Contract made by Jomar & taught in the Instant Virtual Skills only? 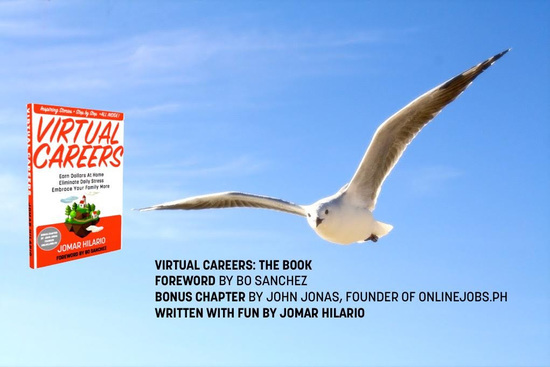 Buy the Physical Virtual Careers Book from https://virtualcareersbook.com and get it as a PHYSICAL bonus while supplies last. When I learned about the assignment after getting the downloadable Date With Freedom Seminar last year, I felt nervous. Nervous, because I don’t know how to blog. I was afraid that my friends might find out about it and criticize it. I felt relieved when the purpose of the assignment sank into my mind. First: The assignment is a portfolio blog – it would be about 10 tutorials about apps or tools used in online businesses. Second: I don’t have to show it to my friends because that’s not for them. The portfolio blog is for my prospect clients so that they would know that I really understand how to use the tools. It’s a proof lalo na kung newbie ka lang sa virtual world. I felt relieved even more, when I learned that Jomar’s Team will check my assignment. Fast forward, at last, I finished the 10 tutorials and submitted it to Jomar. Jomar’s team checked my work after. This feedback on my blog really helped me to improve and be confident in my work. Take time to celebrate and give yourself a pat on the back for going this far with your VP Assignment! I went over your VP assignment. After checking your work, here’s some feedback on how to improve on it in order to increase the probability of getting more clients. 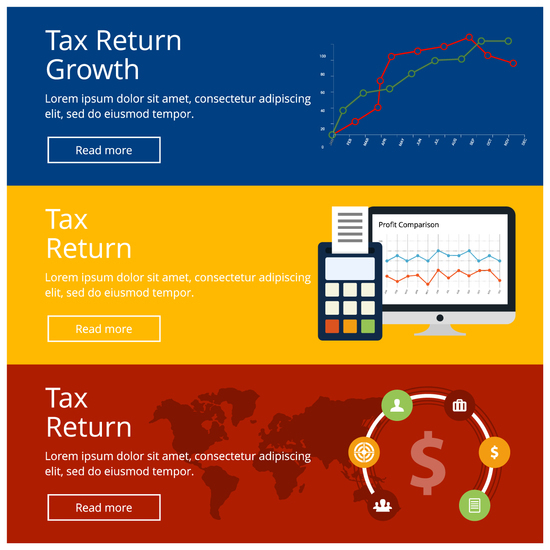 Nice homepage with latest blog post features, But set your homepage to your ABOUT ME. Nice positioning with detailed power. Very clear widgets of menu, that’s great! Set also cover photo with right size of pixels. You can use Canva. 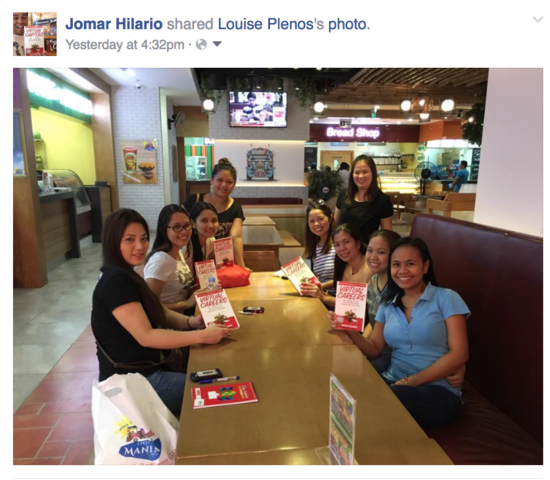 You may also consider Jomar’s thrive theme http://jhilario.com/jomarthrive for more client conversion. Consider having an email catcher to show to your future clients that you know the importance of getting emails for a business. This is a great plus. It might be good idea to post also your DISC results, so that you can showcase your personality test results and niche to your future clients. Take the DISC test and Re-read the Virtual careers book (10x) don’t worry we all do. Two thumbs up for 10 tutorials + 100 slides each! You are superhuman now. Great job, for clean and very clear tutorials. Proofread all your posts and slides to correct minor grammatical & typo errors. Very informative caption and introduction. Some of the screenshot are blurred. Maximize your screenshot per slide, it would make better and uniform as well. Keep 10 words at a maximum per slide. Great job by using large font. Try to maximize your screenshot for more visible command. Slide 62 please check the caption. Please use simple words that can be easily understood. Slide 67 you can adjust a bit your spacing and fonts, it should be 1 row for the URL because it’s quite confusing. Slide 75 – put some command like encircle the email and if you want you can also blur the first name of the email for confidentiality. Slide 2 can you change the image? We can’t find any connection to it. Please maximize the size of your screenshot per slide. Slide 20 please use simple words. “Click” or “Check”. Keep 10 word at a maximum per slide. Please double check slide 21, cursors are quite colliding try to adjust the two cursor. Some slides are smaller, make it bigger. Slide 15 please check the image , try to merge to the background. There you have it! 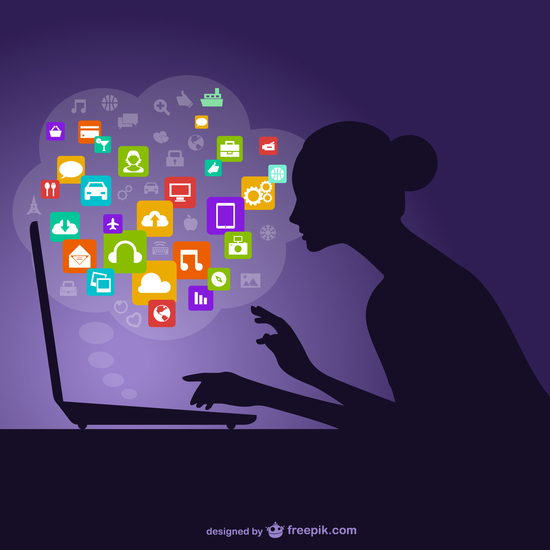 These are some ideas that you can think about to enhance your blog. Just a few more and you’re good to go! I’m excited for you and how this will work out for you! Always keep this in mind: You don’t need to be GREAT to start… but you need to start in order to be GREAT!! This is what I felt when I met Jomar and joined his Date With Freedom students. 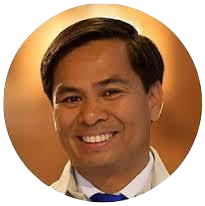 When you are trained under Jomar Hilario’s Seminar (live or download), Jomar commits to check your work -page by page, slide by slide to see if it’s TOP QUALITY and WORLD CLASS. This detailed, per slide checking of your assignment, is just one of the things you get when you train under Jomar Hilario’s programs. Go ahead, experience the COMMITMENT to help you get a Virtual Career too. 2. How To Start Your Virtual Career: https://virtualcareersbook.com/seminar (4 days of training). Do this for you and your family. A: Haba ah. Gusto mo talaga magkwento. Anyway, I don’t really know how to answer this. Kasi as long as buhay ako I will serve you. So do you have a chance? Buhay ka ba? Gusto mo ba? Eh di pwede ka. The only time you can’t is when your hands are too old and shaking you can’t hold a mouse and keyboard. To start kasi is to make a list of 100 reasons . I bet you don’t have 100 reasons yet. There fore, DO THAT. Start or start again, it’s all the same to me. What ever you do if it’s WORTHWHILE enough, you need strong strong reasons — most of which is about strong strong love. If not, the simple arrival of a storm at sea, the betrayal of a dear friend and team-mate, the violence of your companions, the trial at a mock court, the nails on your hands and feet – any point in your journey, you can give up. UNLESS you have strong love.